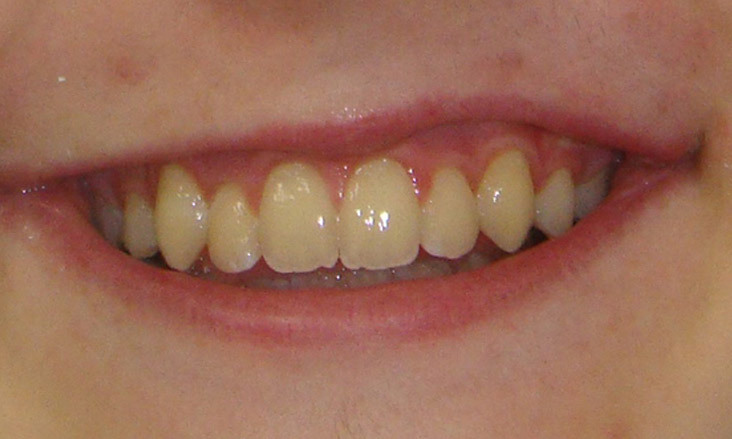 This young gentleman had severe crowding of his teeth. 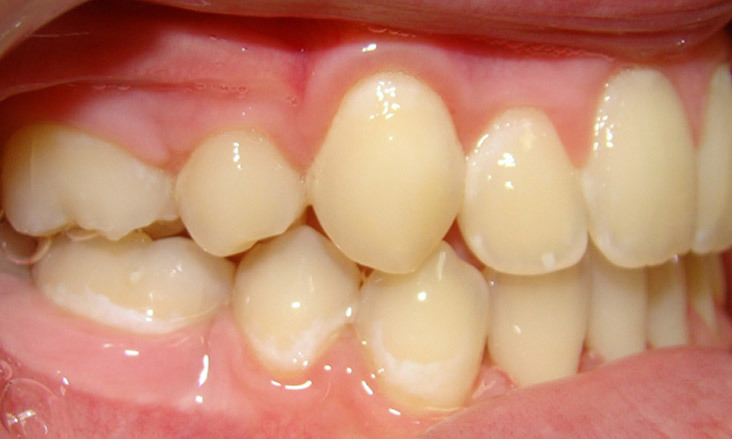 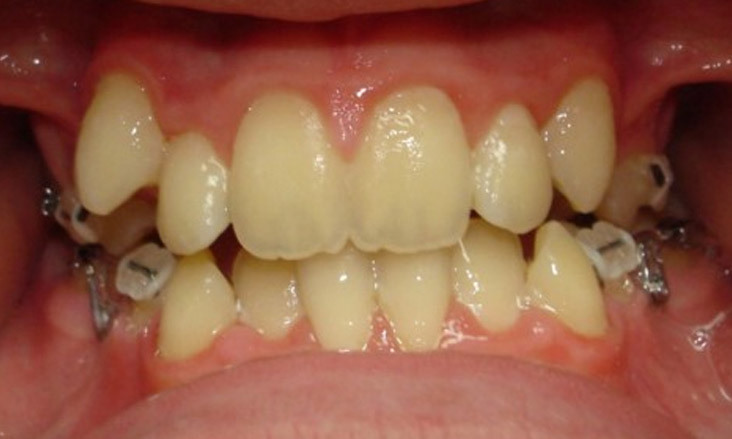 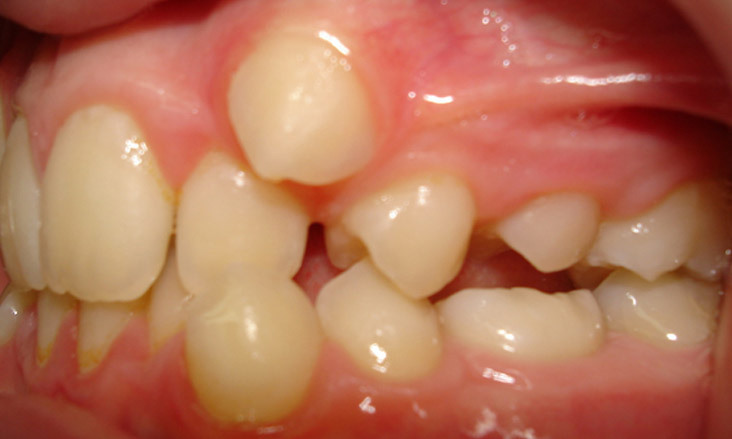 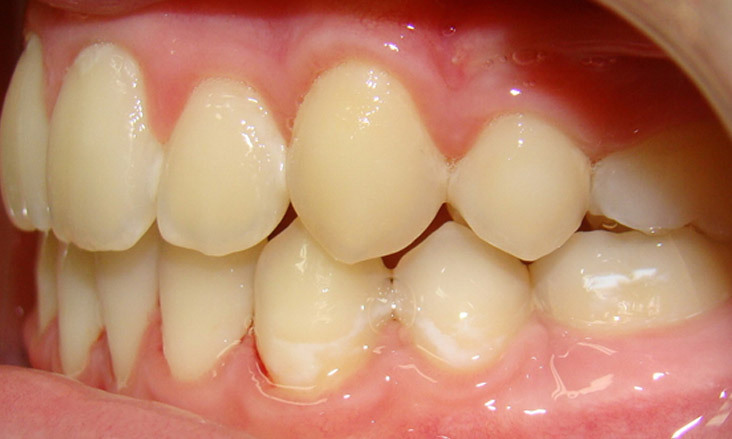 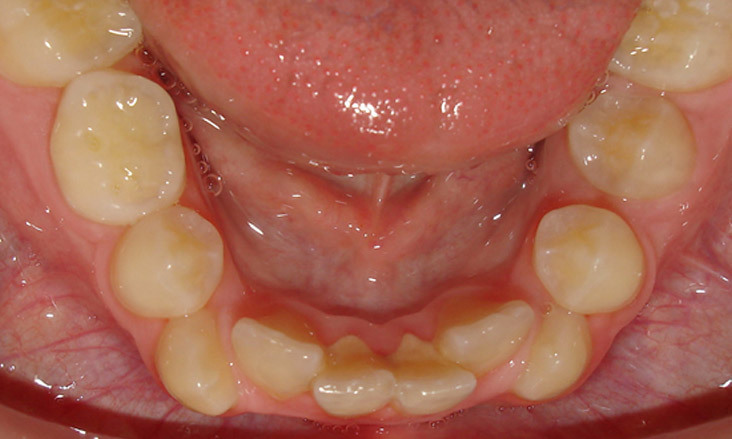 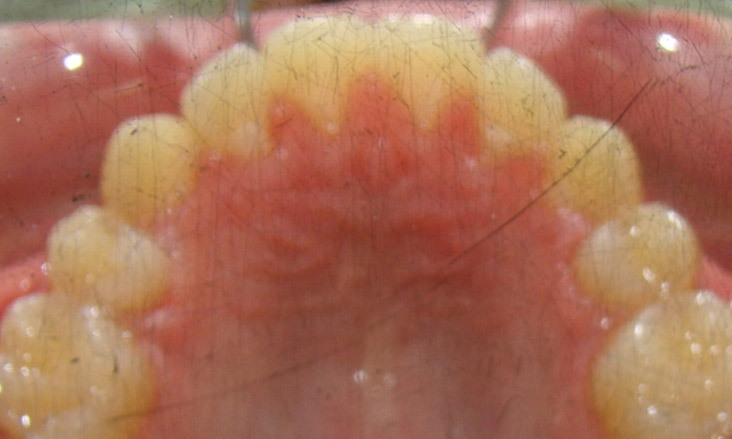 To straighten his teeth, we decided to remove the upper first premolar teeth and lower second premolar teeth. 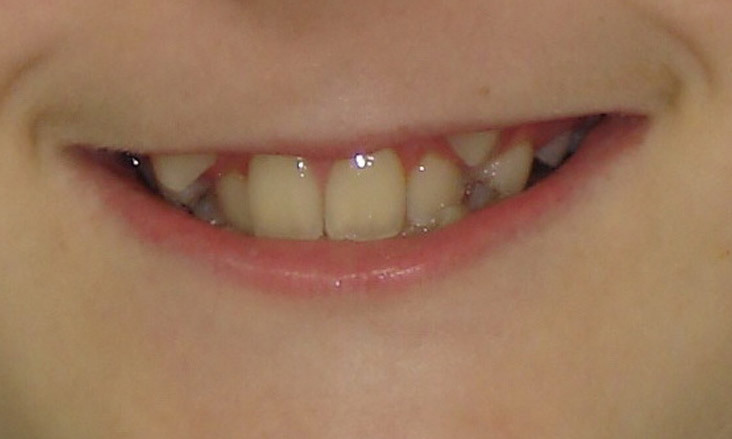 As he was an actor he wanted as cosmetic a method of treatment as possible. 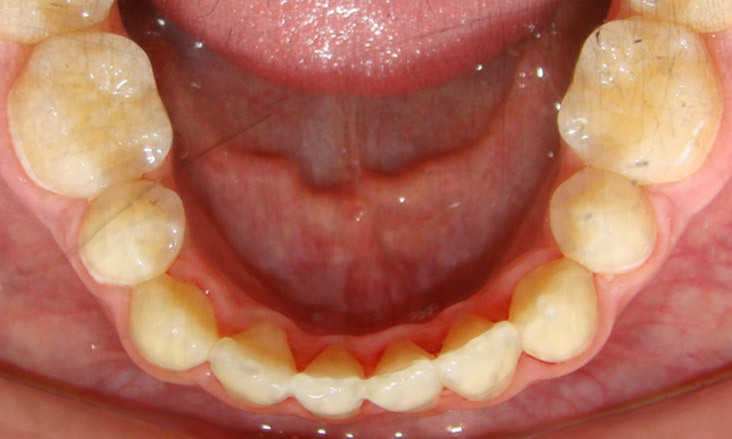 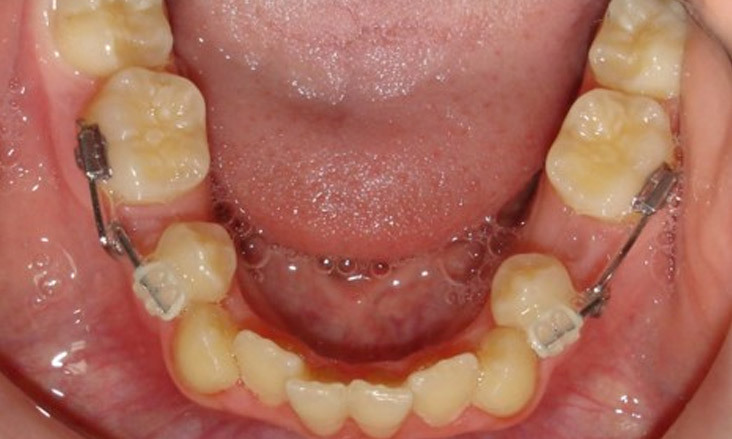 For this reason, we decided to undertake a crossover technique with lingual braces to the upper and lower anterior teeth and labial braces to the posterior teeth. 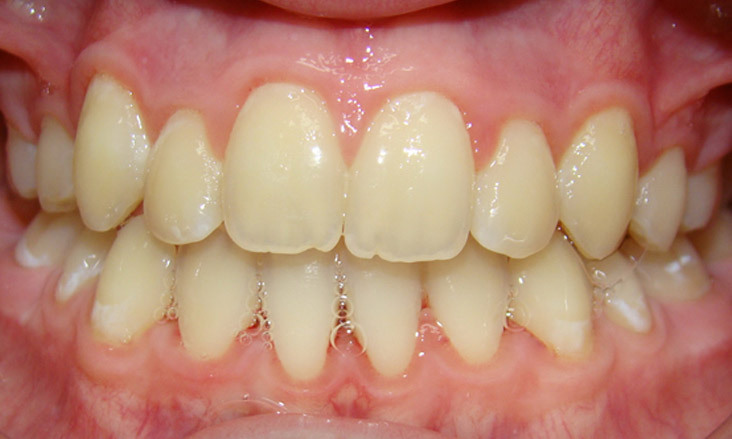 After the removal of the upper first premolar teeth and lower second premolar teeth lingual braces where placed to the upper anterior teeth and labial to the upper and lower posterior teeth to create space for the canine teeth so they can be straightened. 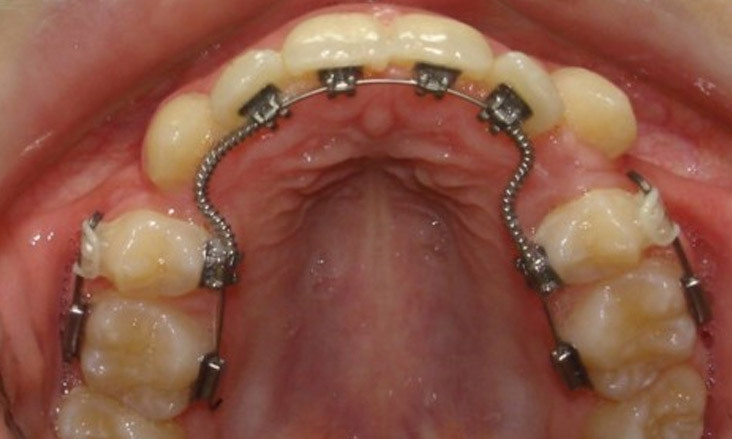 Coil spring is being used on the upper lingual braces to create space for the canine teeth and closing loops on the lower labial braces to create space for the lower anterior teeth. 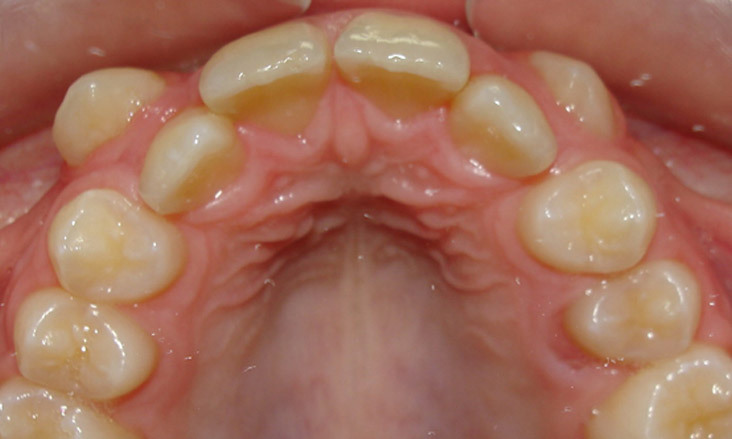 When the lingual surfaces of the lower anterior teeth could be accessed lingual braces were placed and treatment completed. 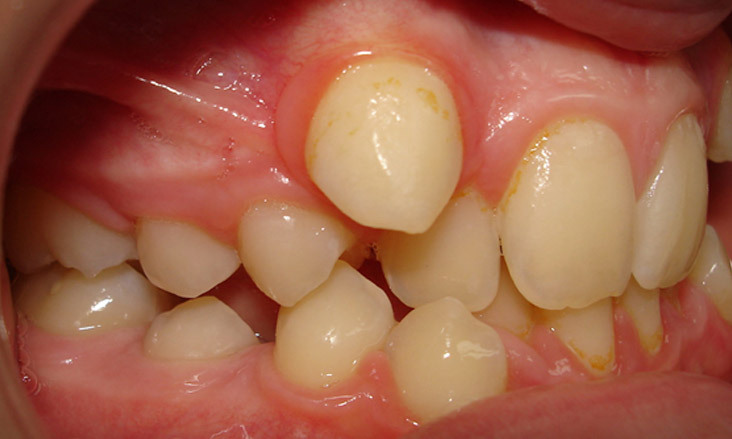 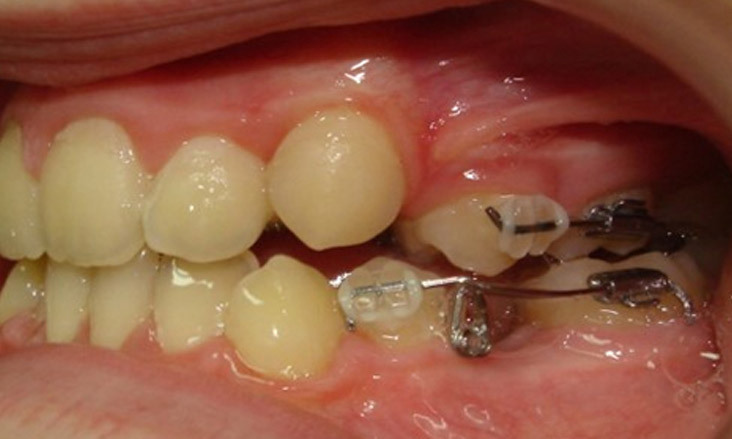 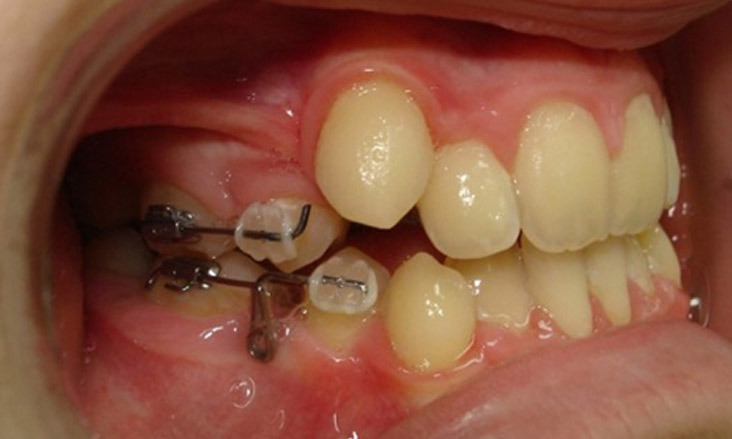 This treatment took approximately 20 months to undertake. 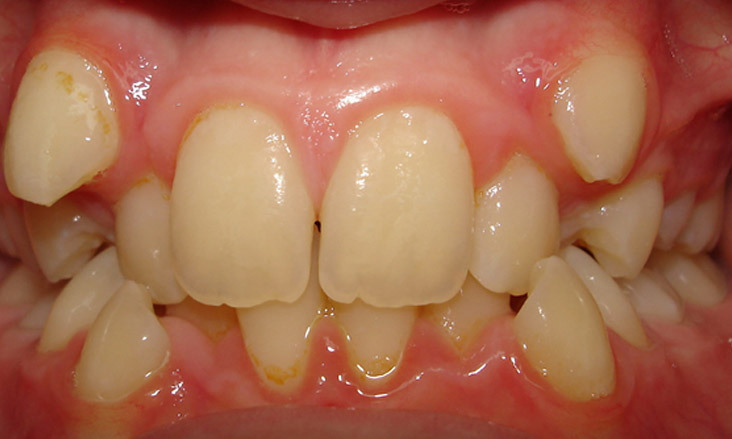 The patient then wore retainers.